Image notes: Prostrate stems with tufts of pseudo-succulent leaves in whorls at the end of branches. Bright yellow flowers. Growing in black soil channels. Notes: Prostrate stems with tufts of pseudo-succulent leaves in whorls at the end of branches. Bright yellow flowers. Growing in black soil channels. Hyde, M.A., Wursten, B.T., Ballings, P. & Coates Palgrave, M. (2019). 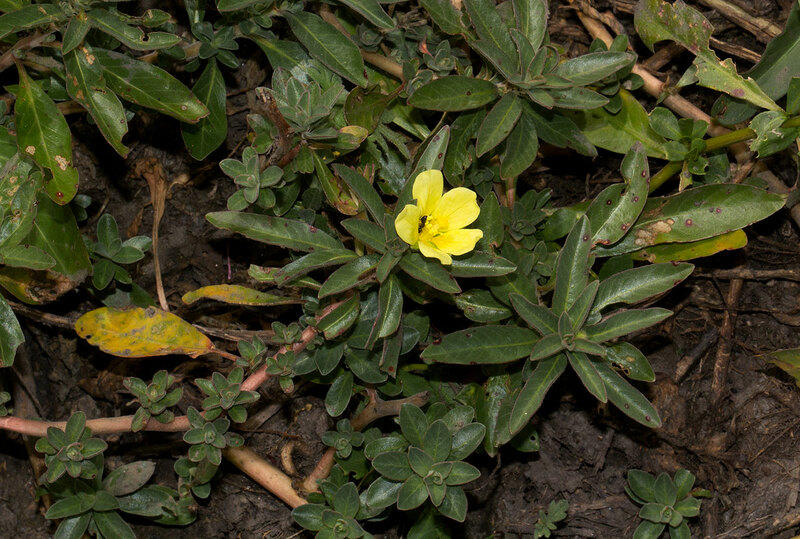 Flora of Caprivi: Species information: individual images: Ludwigia adscendens.